Apparently there is a world wide kale shortage. All those green smoothies, kale chips, and miracle super salads using the latest “wonder food” has meant that there just isn’t enough kale being produced to keep up with demand. I’m not sure I believe in “super foods” (a balanced diet full of fruits, vegetables, and grains, with a bit of meat and dairy thrown in sounds right to me! ), but I do know that kale is yummy, and that my kids like it too. While there may be a kale shortage world wide, there certainly isn’t one here on the farm. 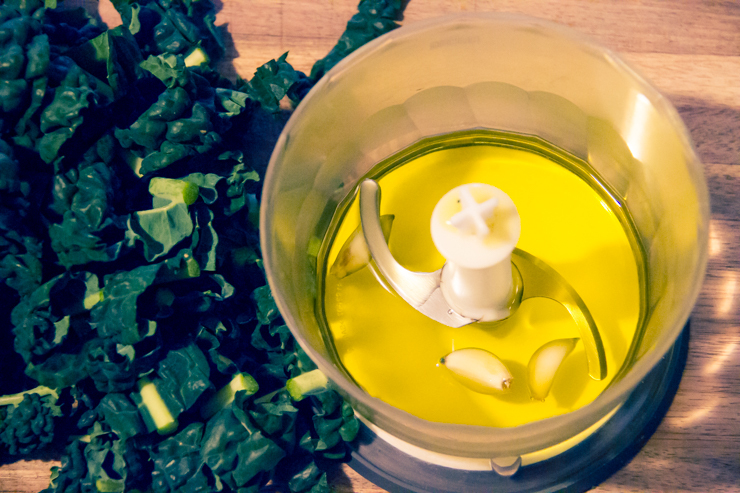 Country Boy was looking for idea to use up some kale when he came across the idea of kale pesto. We had it on pasta for dinner and the kids hoovered it up and went back for seconds. A sure sign of a hit! 1. Place all ingredients except parmesan, in a food processor and blend to the desired consistency (we like it a little chunky). 2. 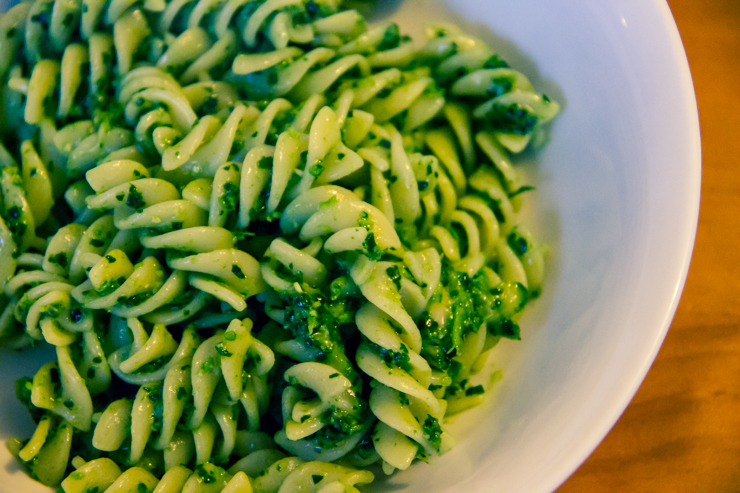 You may need to add a little more olive oil, depending on how you like your pesto. 3. Stir through the grated parmesan cheese. 4. 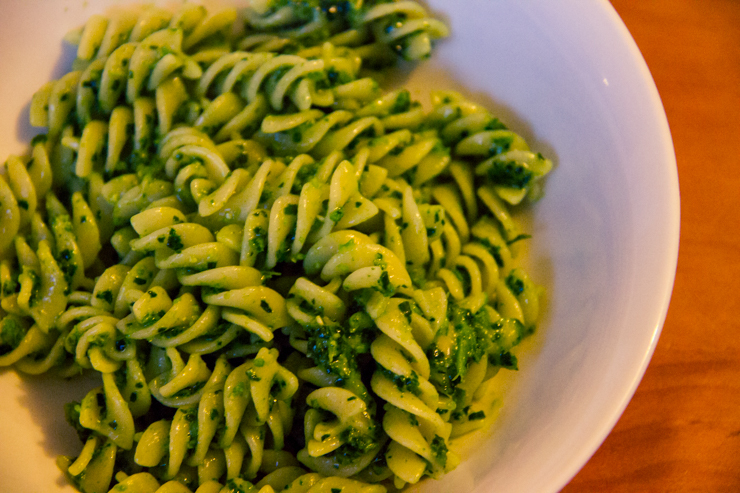 Use where ever you would use traditional basil pesto. We served it on top of pasta for a quick and tasty meal. Got any other suggestions to make with kale? I've just made these using white choc chips as suggested – Fabulous! Will look it up. Thanks Jan. Thanks Alicia. I have never paid attention to how much it cost, but not is super easy to grow! 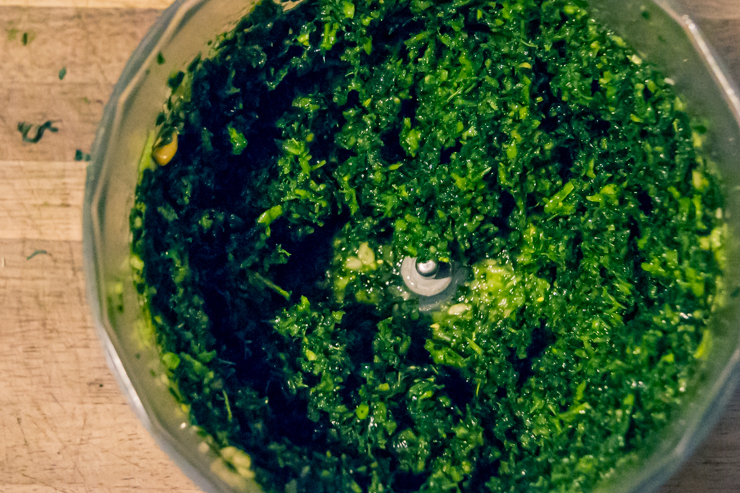 I've never even thought of making kale pesto before but it's a great idea, and one I'm keen to try given the amount of pesto I have in the garden. When you say 8 kale leaves, how big are they? The half hour edition of the country session on channel 2 on Saturday night ad a featureon growing kale. Perhaps it is on iview if you can access that. I don't know if it was repeated on the hour show on Sunday.